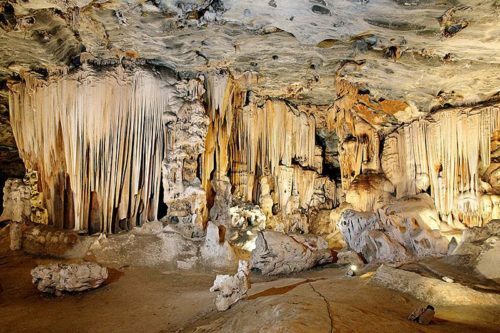 The Cango Caves is a cultural and natural landmark in South Africa. The 20 million year-old Cango Caves system consists of a series of hidden chambers cut deep into a thick limestone rock layer. It is situated in the Swartberg Mountains, 30 kilometres north of Oudtshoorn, in South Africa’s Western Cape Province. • Frequently described as one of the great Natural Wonders of The World. • The biggest show cave system in Africa. • Inhabited since the Early Stone Age. 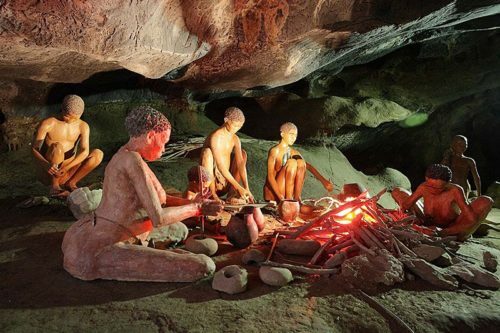 • It is South Africa’s oldest tourist attraction. • The formations are unique: they would not have normally formed in this area and are a result of faulting. The Cango Caves became a popular attraction during the 1800s. Many visitors broke off stalagmites and stalactites and wrote their names on the walls. In response, the then governor of the Cape, Lord Charles Somerset, published the first Caves Regulation in 1820. It was designed to protect an environmental resource and banned the collection of souvenirs. Entrance to the caves cost the equivalent of six dollars, the modern equivalent of about R500. 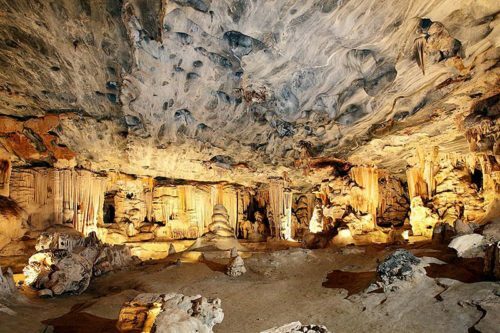 Many of the significant discoveries of the caves were made by the first full-time guide, Johnnie van Wassenaar, who opened many of the side chambers and introduced thousands of people to Cango 1, which remains the only part of the caves open to the public. • Departure: Every hour on the half-hour from 09:30 to 15:30< • Route: Entire Cango 1 • Fitness Level: Moderate • Restrictions: Not suitable for those suffering from claustrophobia or back ailments. All tours are lead by experienced, knowledgeable and accredited Cave Guides. Tours are offered in English but Afrikaans, German, French and other language guides may be available (please check guide availability when making reservations). View a 19 minute movie about Cango 2, which is closed to the public. 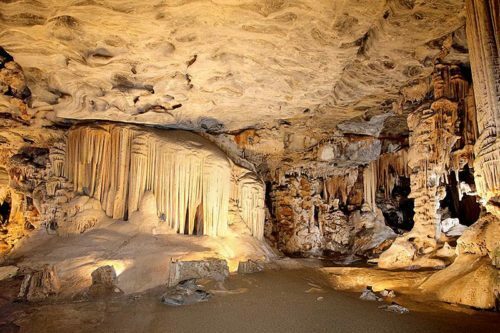 Learn more about the Caves history & Geological background in great detail. The Kraal Gallery sells African gifts, collectables and originally crafted artefacts. For mouth-watering traditional South African dishes.